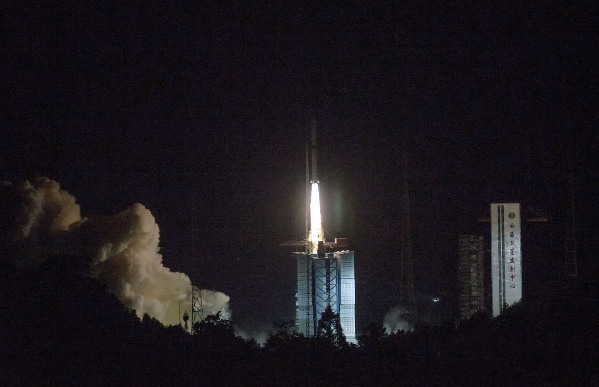 China launched a relay satellite early Monday to set up a communication link between Earth and the planned Chang'e-4 lunar probe that will explore the mysterious far side of Moon, which can not be seen from Earth. The satellite, named Queqiao (Magpie Bridge), was carried by a Long March-4C rocket that blasted off at 5:28 a.m. from southwest China's Xichang Satellite Launch Center, according to the China National Space Administration (CNSA). About 25 minutes after liftoff, the satellite separated from the rocket and entered an Earth-Moon transfer orbit with the perigee at 200 km and the apogee at about 400,000 km. The solar panels and the communication antennas were unfolded. 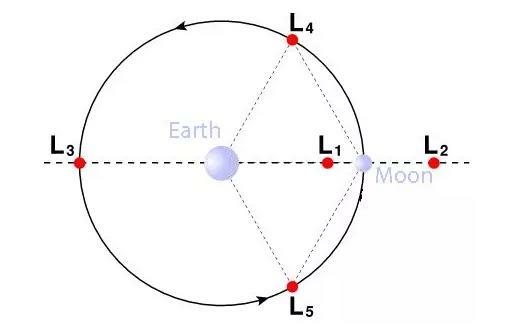 Queqiao is expected to enter a halo orbit around the second Lagrangian (L2) point of the Earth-Moon system, about 455,000 km from the Earth. It will be the world's first communication satellite operating in that orbit.